What factors allow gold personalised necklaces to be such popular gift ideas? Is it the universal appeal of this lustrous metal? Perhaps it has more to do with the massive selection of styles that you can choose from at Names4Ever. It could also be the fact that since every gold personalised necklace reflects the unique attributes of the wearer, there are indeed no two that are ever alike. Regardless of the reasons, such jewellery items are undeniable in their brilliant beauty. Thankfully, we offer a wide array of options that are designed to provide the perfect gift item for countless occasions. Still, we should take a further look into the motivations that have caused this line of gold personalised necklaces to be one of our most tempting items. Why Choose a Gold Personalised Necklace from Names4Ever? A personalised gold necklace is only as valuable as the time and care taken in its manufacture. As we only offer necklaces and gold personalised name tags of superior craftsmanship, you can be assured that you are receiving nothing but the best gold personalised necklaces within the UK marketplace. Let's also realise that as gold is considered to be the most attractive metal in existence, the wearer will be allured and entranced by its ethereal appearance. However, those who wish for a departure from such a style can also choose a silver personalised necklace; we are also happy to supply this alternative. The main takeaway point here is that we aim to provide you with as many choices as possible when considering to purchase a gold personalised necklace and name tag. What Qualities Make a Gold Personalised Necklace Radiant? As we already know, gold is a metal which has existed since the very birth of the earth. In fact, the gold contained within your personalsied necklace is very literally billions of years old. It is no coincidence that this same quality is what has always associated this type of jewellery with love and lifelong commitment. Our gold personalised necklaces will never tarnish, rust or otherwise decay. They are a permanent gift to an equally permanent person within your life. When we combine these inherent characteristics with the ability to etch a name within the tag and even add cutout shapes and designs, we have just added an extra sense of style to what is already a wonderful gift item. So, is there any reason not to purchase one of our personalised gold necklaces? Do you wish to surprise your sweetheart on an upcoming anniversary? Perhaps you are waiting to "pop the question" and hope that a gold personalised necklace will be the perfect icebreaker. While romance is king, these gold personalised necklaces are just as suited as a gift to a friend who has remained in your life through thick and thin. The necklace will silently and beautifully display your commitment to this special individual while simultaneously placing a wide smile across their face. 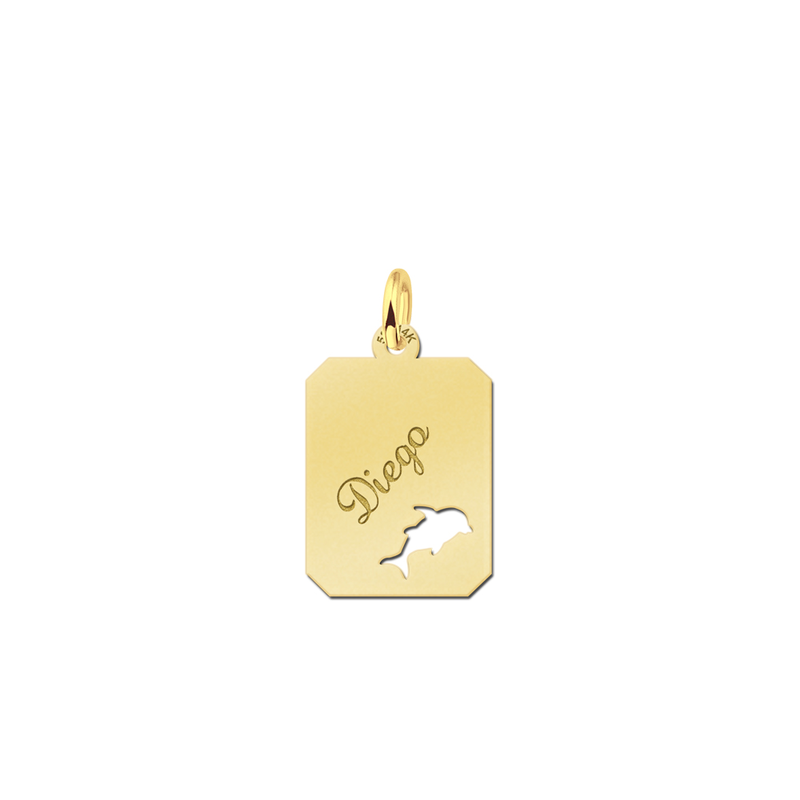 When seeking to leave a stunning impression on someone, a gold personalised necklace is a very wise choice! Choosing the right type of jewellery can be tricky. 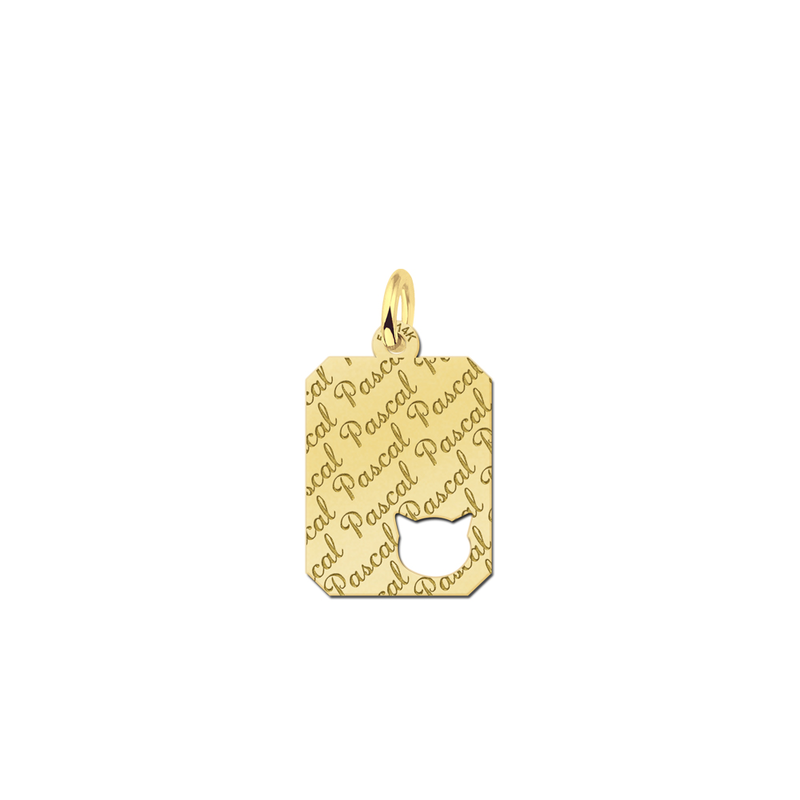 The truth of the matter is that through our online portal, you will be able to quickly browse through numerous different types of gold personalised necklaces. So, you can make an informed selection based upon your discrete needs. As opposed to physically shopping around, you can secure your gold personalised necklace in a matter of minutes. After placing an order, we will quickly ship the item to your location and another great money-saving feature is that we offer free shipping. If you have been desperately searching for a unique and unforgettable gift, these necklaces are luxurious and simply captivating. At Names4Ever, we are extremely happy to cater to your every desire and thanks to our online portal, a gold personalised necklace can be yours!